Rooms let in bed-sit accommodation, private households, bed and breakfast accommodation and hotels. that all appliances and their associated flues that you provide for tenants use have an annual safety check. This will ensure gas appliances and fittings are safe to use. that maintenance and annual safety checks are carried out by a qualified engineer registered with Gas Safe Register. a gas safety record is provided to the tenant within 28 days of completing the check or to any new tenant before they move in. If the rental period is less than 28 days at a time you may display a copy of the record in a prominent position within the dwelling. New regulations introduced in April 2018 allow a landlord to arrange for a gas safety check to be carried out any time from 10-12 calendar months after the previous check whilst still preserving the original check expiry date. Where a gas safety check is carried out less than 10 months or more than 12 months after the previous gas safety check this will have the effect of ‘resetting the clock’ and the new deadline date will now be 12 months from the date of this latest gas safety check. If you have benefitted from the new regulations allowing flexibility in timing of gas checks, records must be kept until two further gas safety checks have been carried out. Additional information: If a tenant has their own gas appliance that you have not provided, you are responsible only for the maintenance of the gas pipework – not the appliance itself. It’s also a good idea to ensure that your tenants know where/how to turn the gas off and what to do in the event of a gas emergency. Some landlord/tenant relationships can become problematic, and tenants may refuse to give you access to the property. If this is the case, you should have a previously drawn up agreement with the tenant allowing you access to the property to ensure any maintenance or safety work is carried out. You’ll have to take (and demonstrate that you have taken) all ‘reasonable steps’ to ensure the work is carried out – this can involve giving a tenant notice. If a tenant does refuse access, be sure to keep a record of any action taken as you may need this at a later date. The Gas Safety (Installation and Use) Regulations do not give powers to ‘force disconnection’ of the gas supply in these circumstances and you may need to seek legal advice. This information has been kindly prepared by Gas Safe Register to help landlords understand their legal responsibilities. Last updated November 2018. For more information visit www.gassaferegister.co.uk. 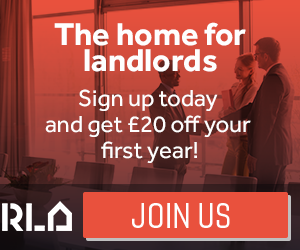 To keep up to date with all the latest housing regulation news, you can sign up to our free London Property Licensing newsletter here.